Light titanium bolt CLEAN M5x25mm with rounded allen key head. For many use on bike. For CLEAN roller tensioner jockey wheel, or brake clamps of rim brakes (if there is enough space for the bolt head). 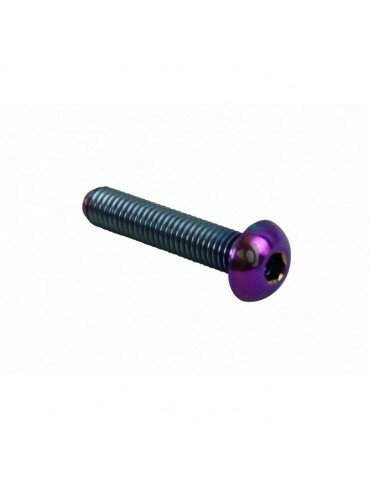 Bolt is very light from titanium alloy. Weight is only 3g. Rainbow anodised color finis.